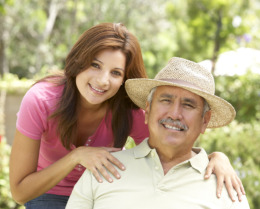 We expertly render quality home health care services that serve the individualized needs of each our clients. A comprehensive level of care that is both affordable and patient-centered is what we aim to provide the physically and health challenged members of our communities. It is our duty to help individuals with their medical needs, ensuring them effective solutions in the form of innovative medical treatments and procedures that can be performed at home. We offer a wide range of superior quality health care services in the safe, comfortable, and familiar environment of the home, granting an enhanced quality of life to not only our patients but their families as well. Our staff is both dedicated to our cause of helping the sick, elderly, and disabled in our communities and passionate about providing them the means to live a life that is not dictated by their illness, health condition, or the ravages time has dealt upon. They possess the skills, the heart, and the unwavering determination to deliver the finest brand of personalized health care to the people we serve. They have a commitment to our agency and to the families in our communities to perform services, in conformity with law and in accordance with the highest standard of ethics and personal conduct. We want to be a blessing to our clients and their loved ones; to form lasting friendships and bonds from our enduring service and loyal companionship. We seek to make a positive impact in the lives of our patients, helping them realize that there is still so much to live for and that there truly is more for them to explore beyond the confines and barriers created by their sickness and disabilities. The comprehensiveness of our care delivery service is guaranteed to positively influence the physical, emotional, and social aspects of the everyday lives of the people under our care. If you want to know more about our agency and what we stand for, do get in touch with us right away. We look forward to being a part of yours and your loved one’s journey in navigating the challenges of illness, injury, and old age. Feel free to call us at 218-435-1044 to request an assessment. You may also send an email to tyler.mcglynn@bethanyinc.com for further inquiries. We aim to provide comprehensive care solutions and services to our clients who opt to receive care in the comforts of their home. It is our goal to be known and valued for being an agency that is wholly committed to helping the physically and health challenged members of the community, particularly the elderly, by providing an alternative to institutionalized care. It is our duty to our patients, their families, and the community to deliver services with excellence, integrity, respect and the highest standard of ethics with the aim to preserve the dignity and independence of those we serve.